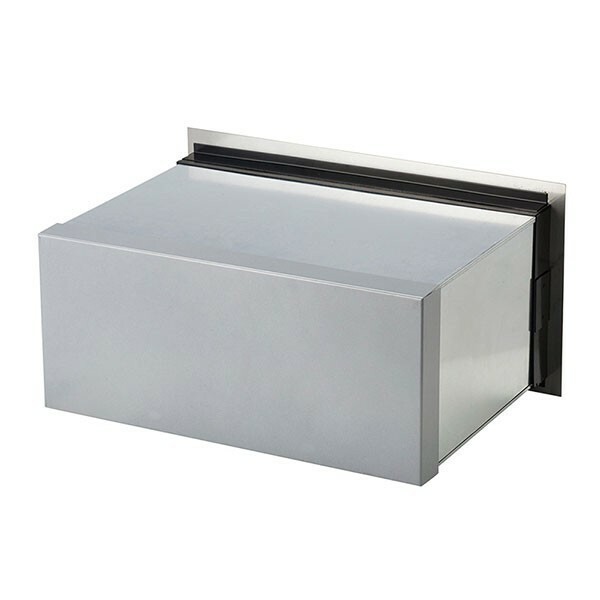 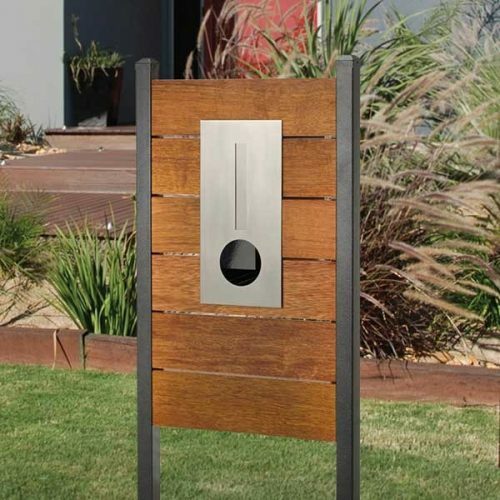 The architecturally styled front plate is constructed from thick-plate 304 grade stainless steel. 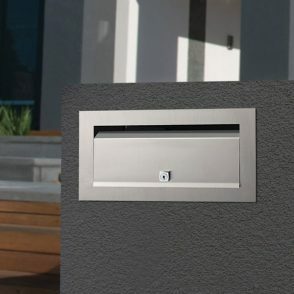 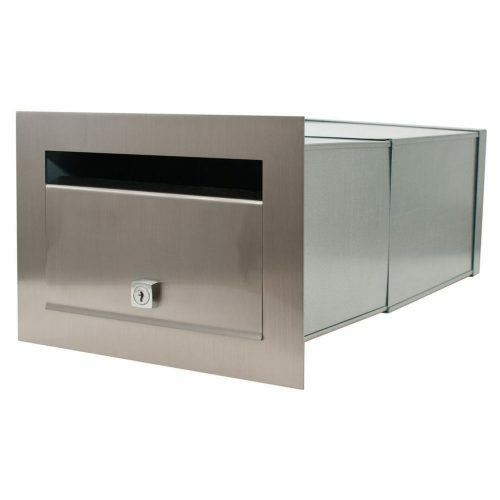 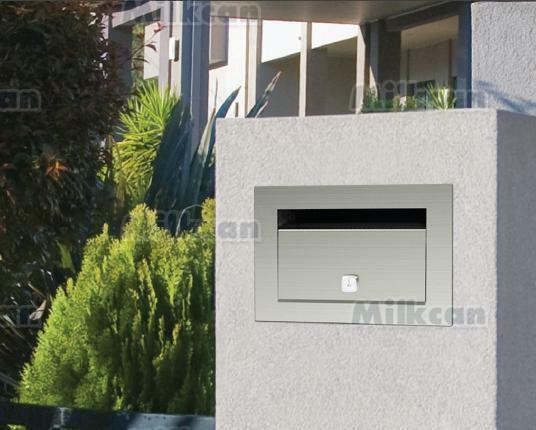 The mail slot is located higher than normal to maximise mail capacity and prevent mail theft. 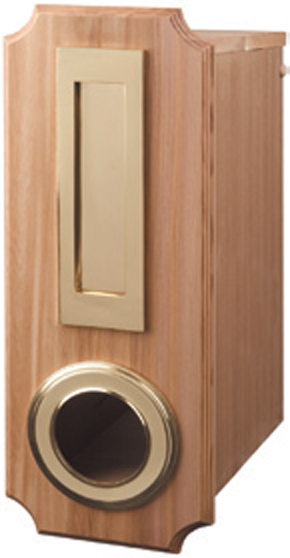 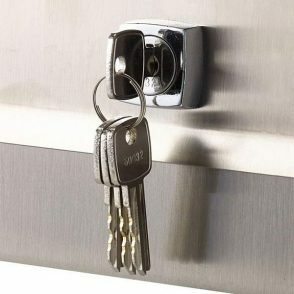 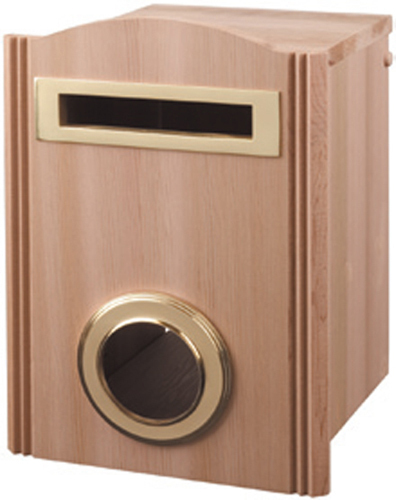 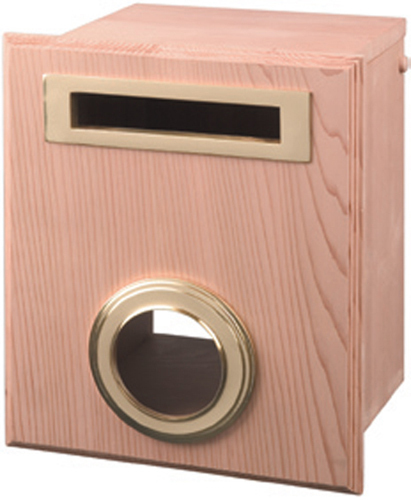 The mail slot has a rain resistant deign and features a key lock to further ensure peace of mind. 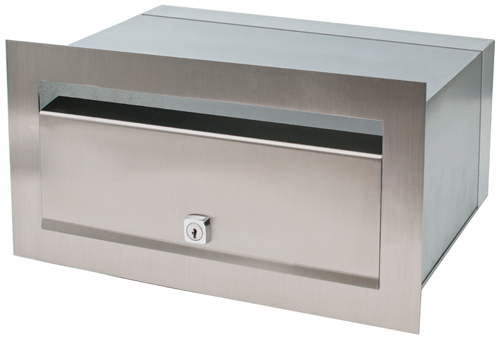 The Palazzo features an easy to assemble, slide together sleeve. 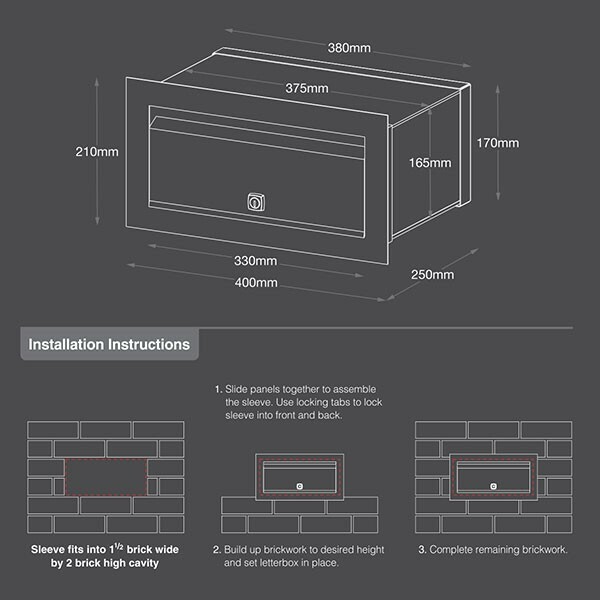 For a perfect fit in your brick work it is recommended to install the Palazzo during construction. 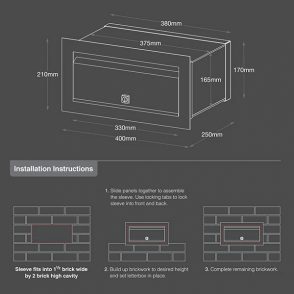 The are also holes provided to add tie wires into the mortar for added stability.